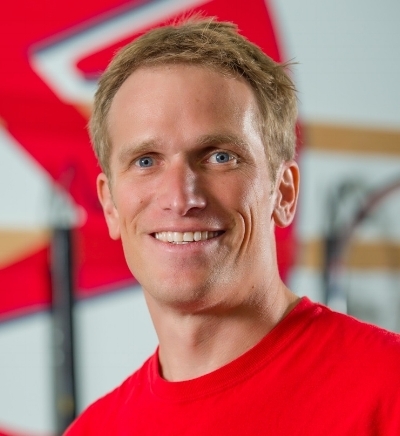 Casey is a Level 2 USA Cycling coach and an experienced running and multisport coach. Casey is the head coach for the UW Cycling Club team. Casey is an engineer working in nuclear engineering. He has a degrees from UW-Madison in Mathematics and Molecular Biology and he brings his unique analytic style to his coaching, classes and training plan development. Casey coaches both cyclists and multisport athletes. He believes that everyone can do better. He enjoys working with the athlete to define goals and build structured training that works for that individual. Casey strives to help the athlete understand the training and what it is supposed to achieve while listening to the athlete to make sure the training is staying on track. Casey is an experienced indoor cycling instructor; he’s led indoor cycling classes for 9 years and over the past 3 years he has designed the training plan for the group classes at Speed Cycling. Casey and several of his athletes are top finishers at regional and national events, but he enjoys working with beginners as much as elite athletes. He is looking forward to making you a smarter, faster, better trained athlete.